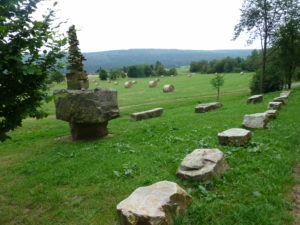 Take a walk directly from your holiday home (one of the four circular walks of Leisel – FanVier) or choose one of the 111 Traumschleifen, beautiful circular walks between 6 and 20 kms, from easy to difficult, depending on the lenght and altitude variation). 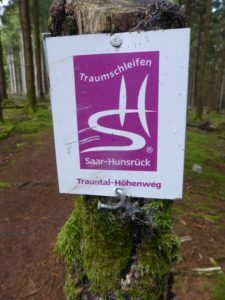 There are also a lot of long distance paths, for instance the Saar-Hunsrück Steig, 410 km, from Schengen/Trier (Luxembourg border) to Boppard (on the Rhine border). All hiking trails are well marked with plaques. 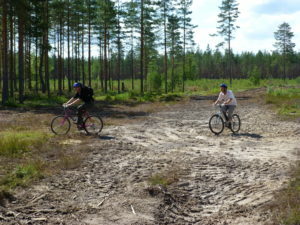 Both for cyclists and mountain bikers, there are several marked routes available. From easy (Ruwer-Hochwald) to heavy (Hunsrück-Mosel). The Hunsrück cycle path goes from Saarburg (French border) to Bacharach (near the Rhine) and is 154 km long. Mount ain bikers will find many marked trails on the Hunsrück in light (blue) to severe (red). At all tourist offices there is a lot of information and map material available. For the rental possibilities of bicycles, also e-bikes, you can contact the tourist offices.